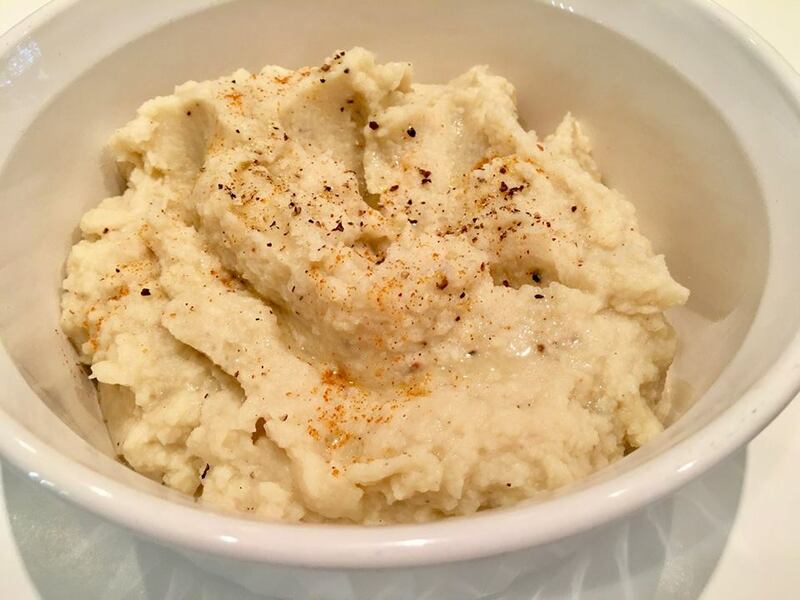 Cauliflower Mash…it’s the latest rage, but so is everything involving this amazing cruciferous vegetable! Pizza crust, rice, steaks, and now mash. There’s pretty much nothing you cannot do with this veggie. It has a neutral taste that adapts to whatever you are using to combine it with, and cauliflower typically comes together in these recipes with ease, simplicity, and heartiness, sans guilt! Now the downside,..If you’ve ever made Mashed Cauliflower, you’ll know they can also be a bit lacking in the texture department…not as smooth as their true, high glycemic counterpart. (Today we are going to fix that issue!) If you’re upset to realize potatoes are higher in their GI score than table sugar, I apologize, but you’ve got to get on board that the white potato really isn’t doing you any favors. Look to the Cauliflower, friends! Here’s why…Its antioxidants, including Vitamins C, are ideal for preventing disease, increasing immunity, and for supporting collagen to have glowing, beautiful skin. And, with cauliflower’s sulfur-containing compounds, it also repairs DNA and prevents cancer cell mutation. 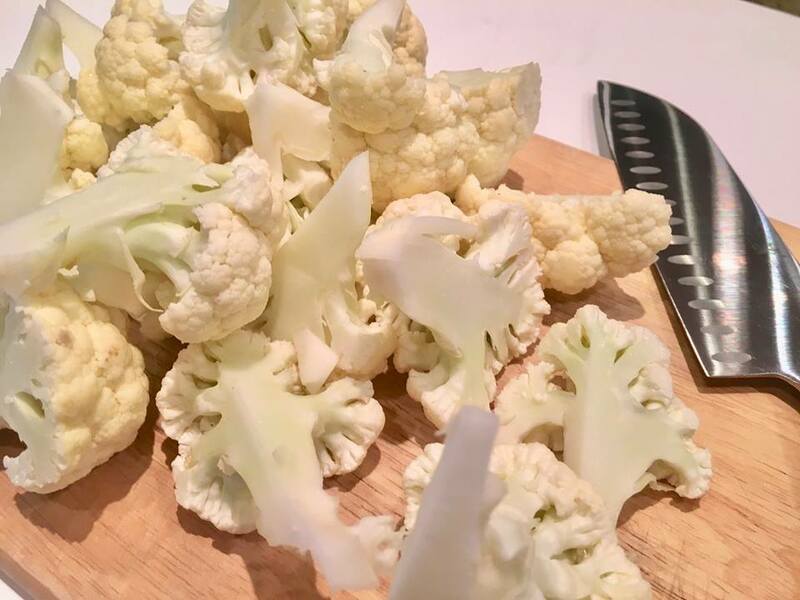 You can being to see why Cauliflower is one of the 8 Foods You Should Eat Daily, so this recipe is perfect to rotate into your weekly routine, but only with my secret to putting them on par with their spud counterpart…. And, now I’m sharing the secret to PERFECT, CREAMY and GARLICKY MASHED CAULIFLOWER. It’s the food that elevates this recipe above your everyday, Pinterest-ready mashed cauliflower….You have to add white beans! Clean one head of cauliflower and cut into small florets. Bring a few inches of water to simmer over medium-high heat in a large pot and place cauliflower in a steam basket in the pan. Cover and steam until fork tender, approximately 8-10 minutes. Remove and set aside to cool slightly. Meanwhile, over low heat, warm a 1 tbsp of avocado or olive oil in a small saucepan. 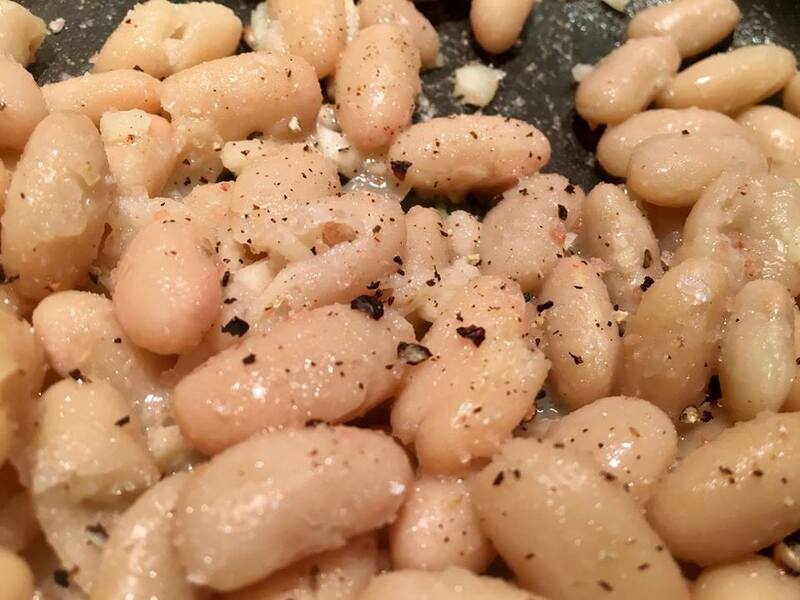 Saute minced garlic cloves and white beans until smooth. Place slightly cooled cauliflower with bean mixture and nutritional yeast in food processor and puree to a smooth consistency. Season with pink salt, fresh pepper and desired seasonings! **This gravy pairs nicely with Garlic Cauliflower Mashed Potatoes! Please post and tag me with your creations #pacerkristen @pacerkristen….. I just might feature you in my next Eblast! ** Vegetable or chicken stock may be used to thin the mash; however, I found it not necessary unless the head of cauliflower is unusually large.